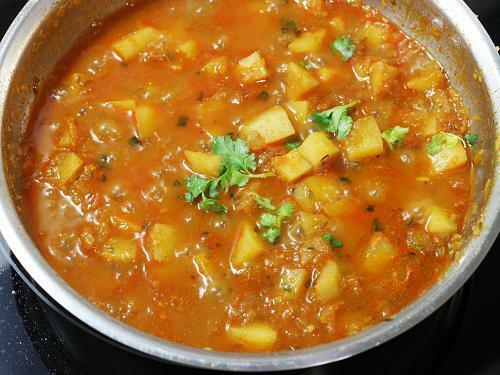 Potato curry or aloo curry recipe. 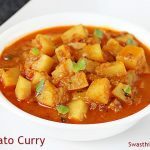 Simple, easy & quick to make delicious & flavorful potato curry. 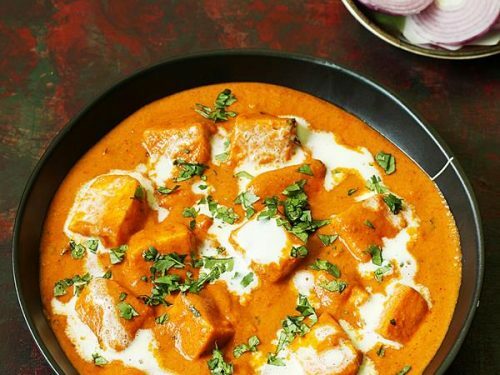 This is one of the most basic Indian curry recipes that even a newbie can try. 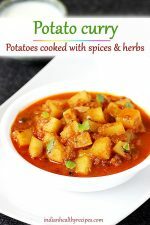 This potato curry or aloo curry goes very well with chapati,phulka, roti, plain rice, pulao or dosa. 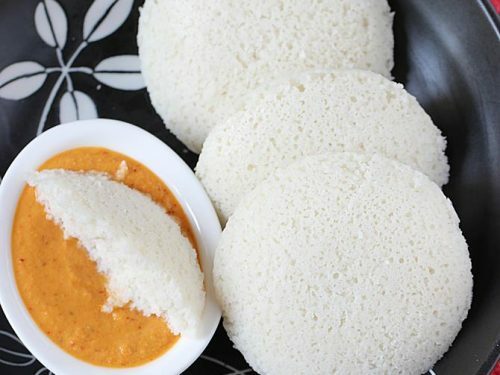 Indian cuisine is diverse and many dishes are prepared in regional styles. Potato curry is a one pot dish made by simmering potatoes in onion tomato masala along with spices & herbs. You can pretty much use what ever you have in hand and yet make this dish delicious. Potato is a versatile veggie and just goes so well in any dish. This potato curry is one of our favorites at home. When I run out of ideas for a quick & comforting dinner I make this aloo curry & serve it with rice. This potato curry is a generic one and you can tweak it easily to suit your taste buds. I usually make this in a pot but it can also be made in a Instant pot or pressure cooker to fasten the cooking process. Instructions included after the recipe card. 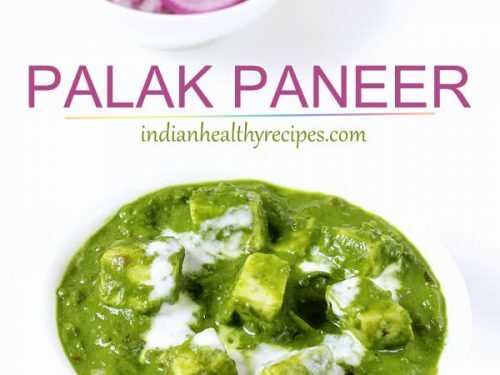 The same recipe can be used to make a dry potato curry or sabzi. Just add less water while you cook. I also make some variations and add a handful of green peas or boiled eggs to this potato curry. Garam masala is the key ingredient used in Indian curry recipes to add flavor and taste. 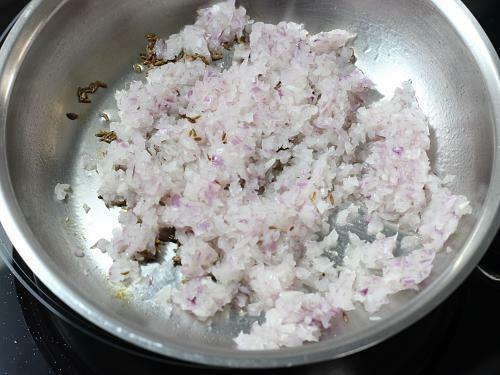 However if you do not have it just replace with a good flavorful curry powder or sambar powder. 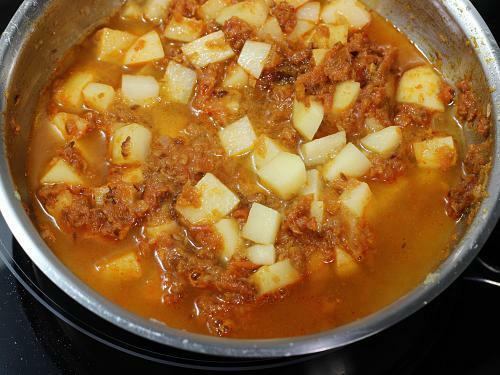 The taste of the potato curry depends on the spice powder used so choose a good one. 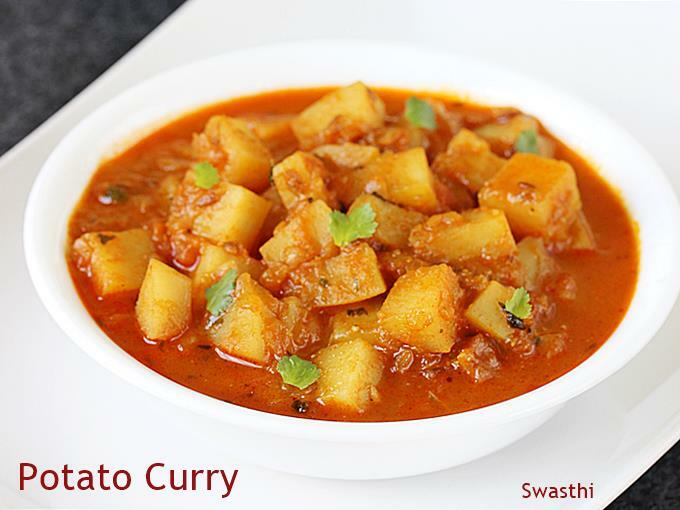 Potato curry known as aloo curry is a side dish made of onions, tomatoes, spices & herbs. Serve potato curry with rice or roti. If you desire to boil potatoes first you can cook them al dente. Peel & chop to cubes. You can also cook potato directly in the curry like the way I have done. Wash and chop onions, tomatoes and green chilies. Peel and cube potatoes to ¾ inch pieces. Keep them immersed in a bowl of water until used. Add oil to a pan and heat it. Add bay leaf or curry leaves (optional), cumin and mustard. 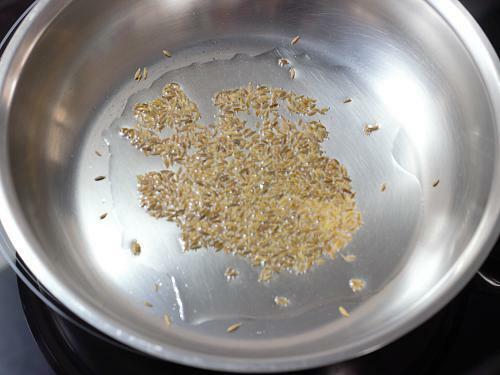 Fry until the seeds begin to crackle. Then add onions & chilli. Fry stirring often until the onions turn golden. Saute ginger garlic paste for 2 mins or until an aroma comes out. 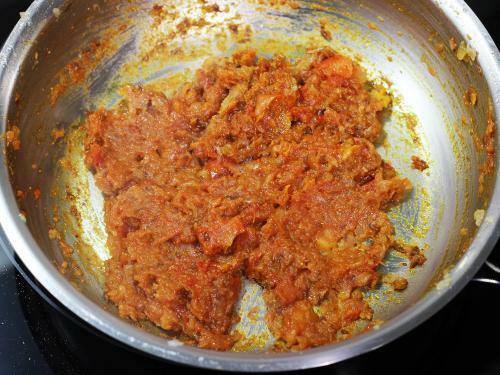 Add chopped tomatoes, turmeric and salt. Fry until the tomatoes break down & turn soft and mushy. Sprinkle red chili powder, garam masala, coriander powder or curry powder. Stir everything well and fry just for 2 to 3 minutes. Very soon the masala begins to smell good, then drain the potatoes from the water and add to the pan. Saute them for 2 to 3 minutes. Pour water just to partially cover the aloo or potatoes. Too much water can make the potato curry runny. 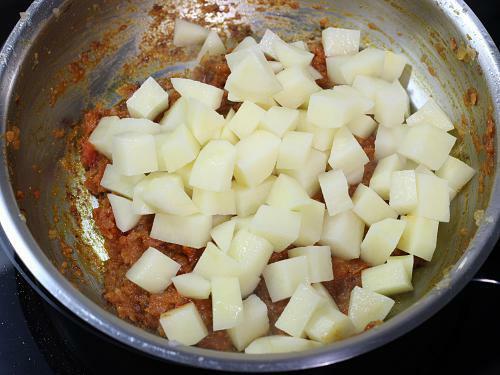 Cook covered until the potatoes are fully cooked or fork tender. Check salt and spice. If desired add more salt as needed. 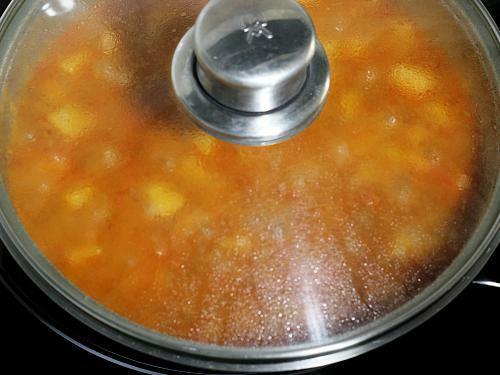 If the potato curry is runny, open the lid and evaporate the excess moisture. Add kasuri methi (optional). Turn off and keep the pot covered for 2 mins. Garnish with coriander leaves. Serve potato curry with rice or roti. Instant pot potato curry instructions above the recipe card. 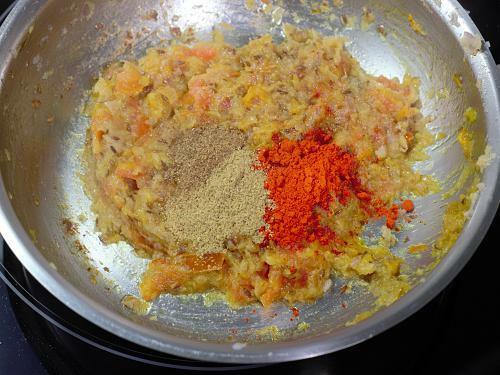 For the potato curry to be flavorful, use a good garam masala or curry powder. For more thicker gravy, you can use 1 tsp coriander powder. I have been using instant pot for quite sometime now and this is how I make it. Pour oil to the inner pot of instant pot. Press the saute button. Add curry leaves or bay leaf, mustard and cumin. When the seeds begin to crackle, add onions & chilies. Fry until transparent. Stir in ginger garlic and fry just for 30 seconds. Add tomatoes, salt and turmeric. Saute just until the tomatoes break down. Stir in all the spice powders and saute just for 30 seconds. Add potatoes & pour about ¾ cup water . Mix everything well. Add more salt if needed. Secure the lid and set the steam release value to sealing. Pressure cook on high for 4 minutes. These timings work well for bite sized pieces as shown in the picture. Allow the pressure to release naturally for 5 mins. Then do a quick release manually. For thicker potato curry, you can cook for 2 mins on saute mode. Sprinkle some coriander leaves and kasuri methi(optional). 1. 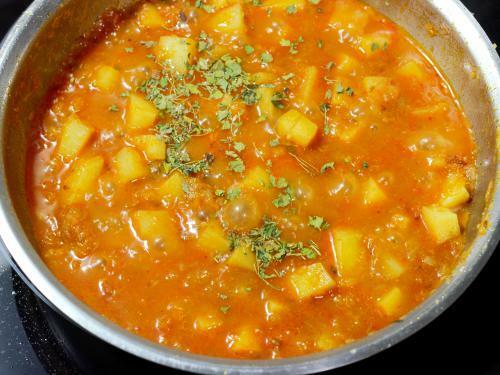 To make this potato curry, you can use boiled potato or directly use raw potato. Some kinds of potatoes really don’t get cooked fast in curry. So you may consider boiling the potatoes al dente and then cut to small cubes. Then add in the curry. But i prefer to cook directly in the curry. It takes about 25 mins to cook potatoes once it is added to the gravy..
Peel, wash and chop onion, tomatoes & chilies. Peel & cube aloo to 3/4 inch pieces. Keep them immersed in water until needed. 2. Heat oil in a pan. Then add mustard and cumin. Allow them to pop. If you have hing, curry leaves or bay leaf, you can add them now. Even without these the potato curry tastes good. If using garlic add it now & saute for a minute. 3. 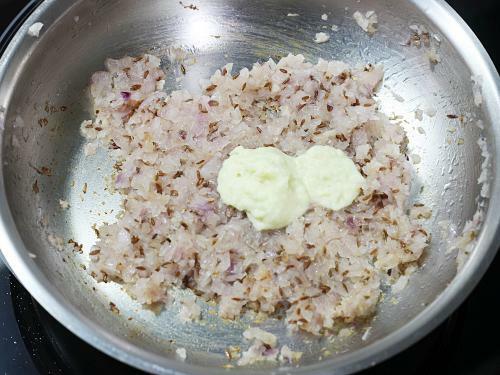 Add onions and fry until golden. 4. Next goes in ginger & garlic paste. Saute until the raw smell goes away. 5. 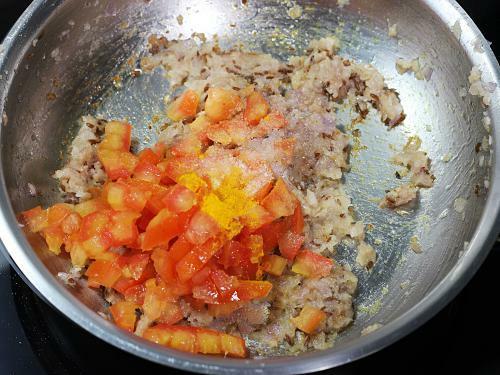 Add finely chopped tomatoes or pureed tomatoes. Sprinkle salt and turmeric. Saute until the tomatoes turn mushy. If needed cover and cook for a while. 6. Add coriander powder, garam masala and chili powder. 7. Mix well. Then fry everything until the raw smells goes away. You can see oil begins to separate. 9. Saute for 2 to 3 mins. 10. Add water just enough to make a gravy. If using boiled potatoes, then you can use the water (stock) in which you boiled them. 11. Cover and cook until aloo curry is fully done. If using boiled potato, cooking just for 2 to 3 mins is enough. 12. Add kasuri methi if using. It is optional. 12. Next add in a handful of chopped coriander leaves. I was runny out of the greens so just added a bit. 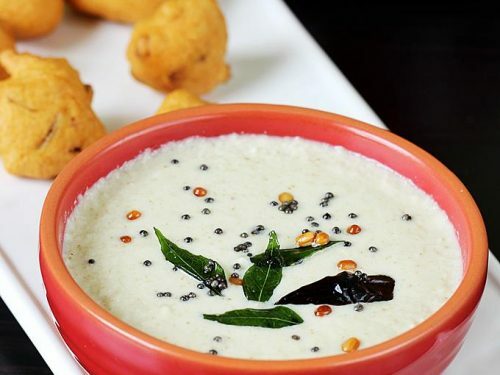 Enjoy potato curry with rice, chapathi or bread. Very glad to know the recipes are useful. Thanks for the comment. Your recipes are simply super. I have actually bookmarked it so that it will be handy. Thank you so much for your patience to post all these recipes. Every recipe is really amazing. I have tried many of your items. I liked it so much. Thanks a lot for trying the recipes. Happy to that the site is useful. Awesome! It was my try at cooking something entirely on my own and this recipe is just perfect! Thx u madam for wonderful recipe. I hope u will post new dishes. This potato curry uses things I always have in frij and pantry. 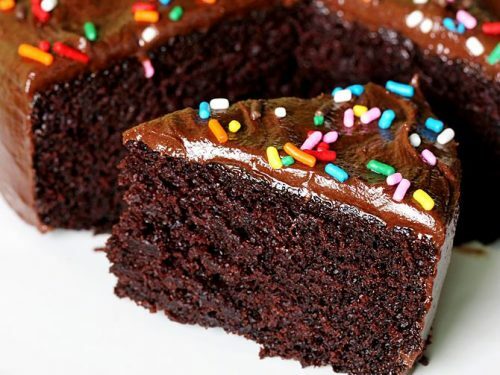 It’s easy, delicious and makes the house smell wonderful. It was well received by my sons and that’s important because while many people these days are watching their weight, my sons and I are skinny as sticks of spaghetti. Any chance to feed them both potatoes and rice is good so they can grow more quickly. Thank you for your recipes and thoughts. 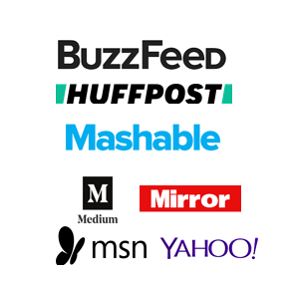 I am working my way through your site and loving it. You are welcome. Very glad to know you all liked it. You can also check this collection of potato recipes, you may like something. i mostly like curries that are juicy and gravy. i just tried this potato recipe . 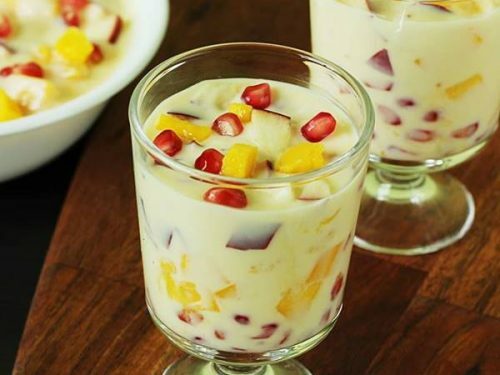 really awsome in taste . . we try most of your dishes . this helps us a lot . we get to know many new things & technics in cooking . The Curry came out very well. Simple and easy to make. I MADE IT… IT WAS SUPERB…..
Love it! Tasty, simple and easy to procure ingredient AND the recipe is very easy to follow! What’s not to like? Usually potatoes sold in cold storage, grocery stores, supermarkets take lot of time to cook. Must buy them always from fresh vegetable market, they get cooked very fast. Hope this helps. Ho.. mam.. its same like your punjabi style egg crazy.. Same producers? I had this today with roti. The taste of this curry is different than what I usually make.